Do you have a cloud exit strategy? Here is one clear path. The best and brightest solutions ... for now. Report paints a grim picture of patent system. Your hometown Wikipedia page may need your help. "Looking back, it started in law school." New systems and shipping quality code in no time. First interview in our All Things Open series. Stories you may have missed on the web last week. "What I did on my summer vacation" would be a fun question for Red Hat interns to answer because it sounds like they had a blast. 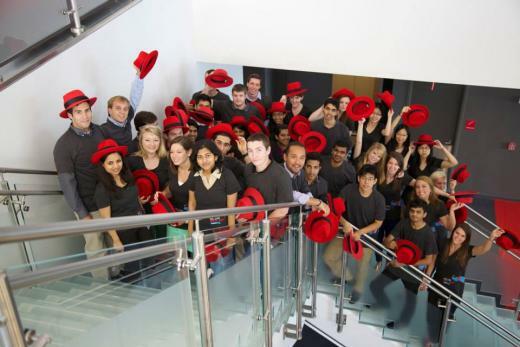 Go behind-the-scenes of a summer internship at Red Hat. Each year Raleigh, NC, hosts a large creativity, art, and design festival, and it's all organized the open source way. Find out what goes into organizing a big open source festival. Momentum seems to be building in Congress to tackle patent reform. But will reform truly address patents on software?